Former model home in Dynamite Mountain Ranch. 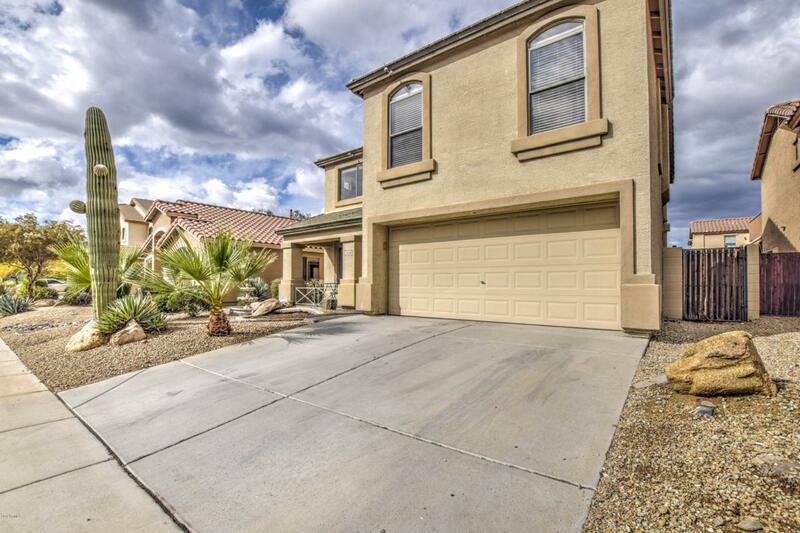 Beautiful and spacious 4 bedroom 2.5 bath home plus loft. Main floor has travertine floors/baseboards with decorative inlay at front entry The living room has warm color wood floors and a cozy gas fireplace. 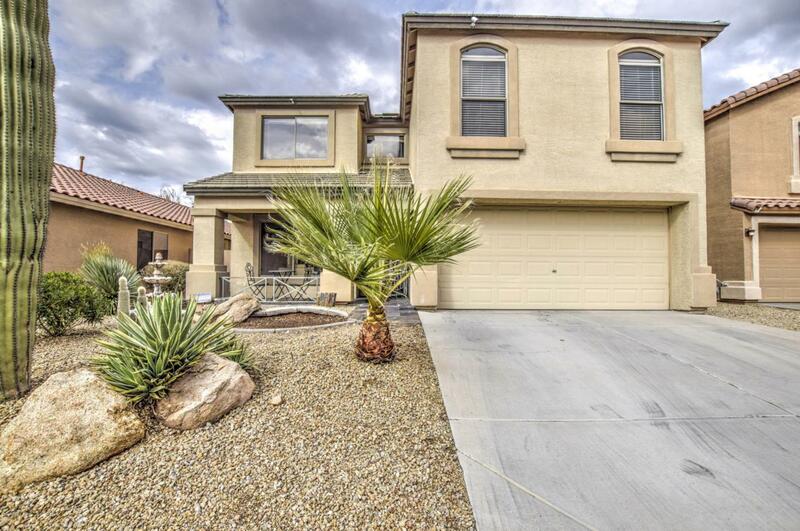 Spacious kitchen with SS appliances & full tiled granite backsplash. Upgraded half bath with decorative wainscoting tile. Large master suite with wood flooring, dual sinks, separate tub/shower and a huge walk in closet. All bedrooms with ceiling fans and lights. Upstairs has a loft area for office or kids play room. 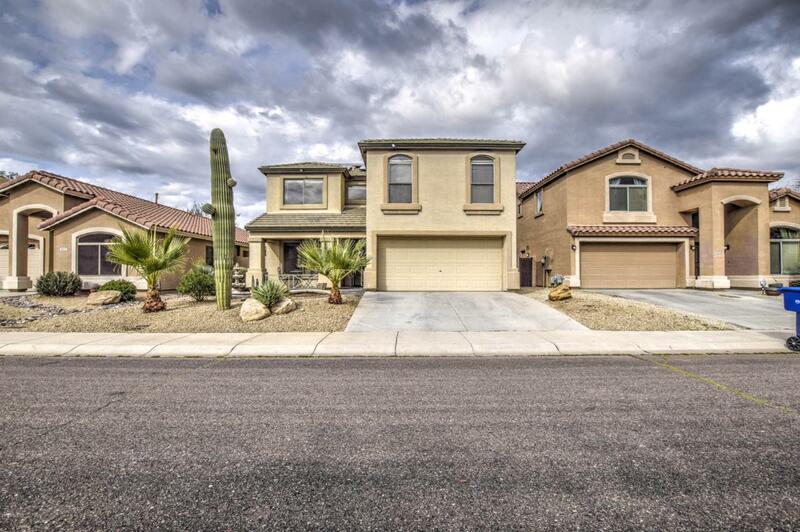 All this and more...close to neighborhood park, close to the I17 and Norterra shopping & restaurants. Details available on all the benefits of Solar this property has to offer. 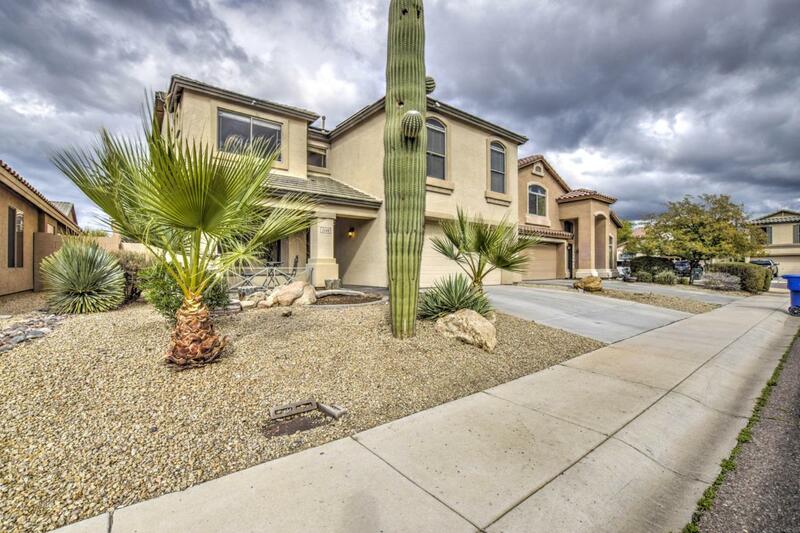 Listing courtesy of Cactus Shadow Realty.